After becoming the first luxury brand to partner with an NFL team in 2014, Hublot continued their commitment to the Dallas Cowboys with the release of their latest collaboration, the Big Bang Dallas Cowboys. The brand unveiled the new timepiece to coincide with the launch of their Big Bang 10 Year Anniversary Tour, which kicked off Sunday at AT&T Stadium’s Legends Club. In celebration of the launch of the new watch, Hublot and The Dallas Cowboys hosted a pre-game charity football toss ahead of the Cowboys game against the Seattle Seahawks. Hublot CEO Ricardo Guadalupe joined Cowboys legend Darren Woodson and Cowboys Executive Vice President and Chief Brand Officer Charlotte Jones Anderson to unveil the Big Bang Dallas Cowboys timepiece for the first time. Following the charity football toss, guests headed for the Cowboys Owners Club for a private pre-game reception, hosted by Hublot and the Jones family, to showcase the new timepiece and to celebrate Darren Woodson’s induction into the Ring of Honor. Woodson sported the world’s first Big Bang Dallas Cowboys as he joined Cowboys Owner Jerry Jones for the Ring of Honor presentation, which celebrated Woodson’s achievement and outstanding contributions as a member of the Dallas Cowboys. The Big Bang Dallas Cowboys timepiece will retail exclusively at the Hublot Dallas Boutique at Northpark Center starting this month.The watch is available in stainless steel and 18k rose gold, and each will be engraved with the piece’s limited edtion number on the case-back. The watch features a Dallas Cowboys star at the 5 o’clock position, signifying the team’s 5 Superbowl championships. Each piece comes with a blue alligator and rubber strap. 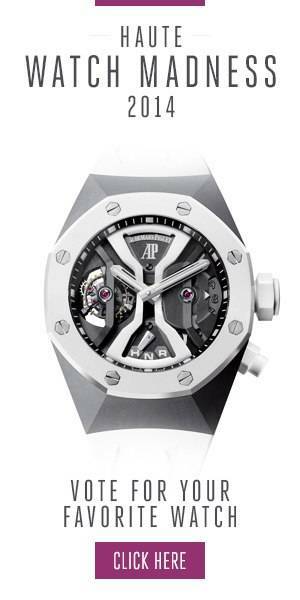 Photo Credit: Hublot. Follow Haute Time on Instagram to catch all of the new releases as they happen.